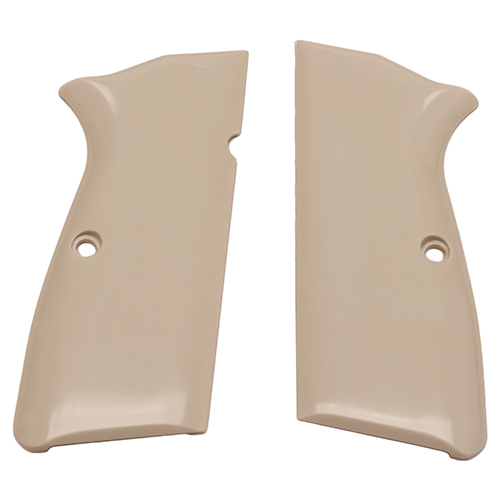 Our ivory polymer grips dress up any firearm. Each grip panel is hand finished to a brilliant shine with no hard sprayed-on finish to crack or peel off with use. Every polymer grip is made with the high quality and exacting fit that Hogue is famous for.